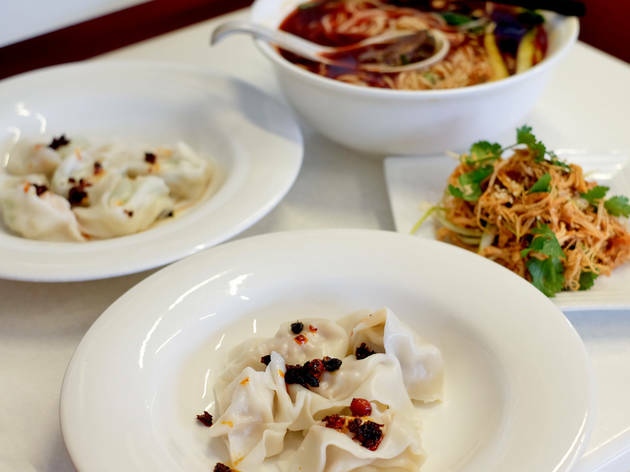 Have you discovered this Ashfield dumpling house? The secret to a great dumpling? Don’t ever underestimate the dumpling skin. Most diners prioritise the filling but if the wrapper is wrong, you’ll know about it. Too thin and your dumpling will break apart. Too thick and you’ll notice its rubbery doughiness immediately. 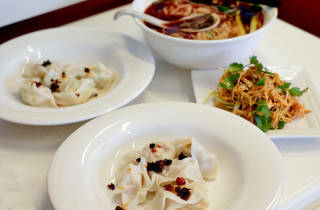 We reckon that’s why Shanghai Dumpling in Ashfield – with its gossamer thin dumpling skins – has such a loyal following. 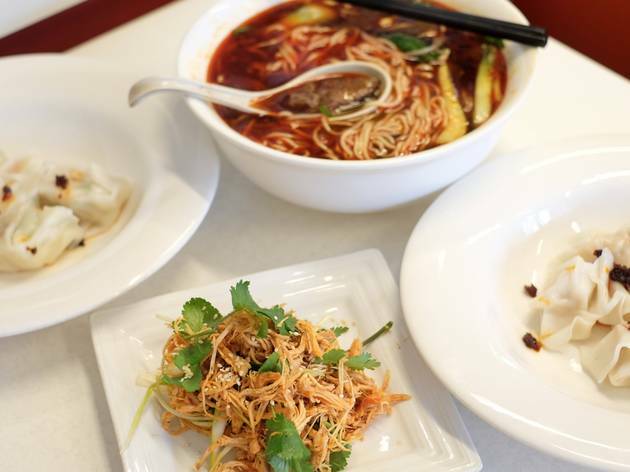 It might be separated from the main hub of dumpling houses along Liverpool Road, but at any given time you’re bound to find the modest dining room – just 24 seats – filled with dumpling enthusiasts. 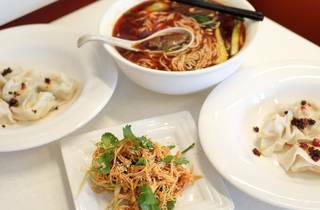 You won’t find xiao long bao soup dumplings here. Nor pan-fried buns. The focus here is the classic wonton dumpling, folded almost tortellini-style, but bigger. Stick with the standard pork and chive; chicken and cabbage; or tofu with mixed mushroom, or level up with their daily specials, available in limited quantities. These include preserved duck egg (century egg) with pork; prawn with bamboo shoots; salted duck egg with pork; and a springy fish cake with shredded ginger and shallots. They all come in serving sizes of five or ten so you can mix and match as you please. 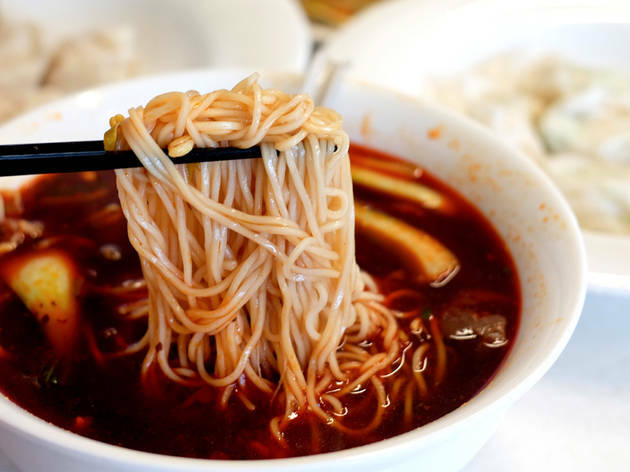 Get them plain, with chilli sauce, with noodle soup or pan-fried. The latter three options will cost a little extra. On a budget? Here’s a tip: You can raid the condiment trolley and make up your own dipping sauce of vinegar, chilli sauce, lemon and soy. It’s worth savouring your first dumpling unadorned. That’ll give you a chance to appreciate the subtle flavour of the filling, and the slippery elegance of the dumpling skins. The silky tail ends are almost the best bit. If you’re still hungry, there are two pages of noodle options. 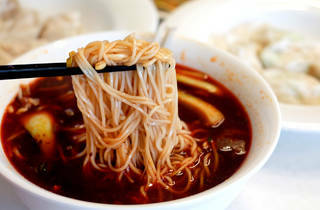 Warm up with a cavernous bowl of soup filled with thin wheat noodles, chunks of spicy beef and gelatinous beef tendon. Or attack a mountain of stir-fried noodles with shredded chicken and chilli. All the noodle toppings are also available as sides. Wish you could eat dumplings every night? You can get takeaway packs of fresh or frozen dumplings to cook at home. Sorted.